Summary. The article is devoted researching of scientific approaches to determine the efficiency of sales activities of the manufacturing enterprise, which allows you to get profit and make leading positions in the market. The sales activity of the company is investigated. Theoretical and methodological positions are generalized. The sales activity of "Group Veneto" Ltd. in Cherkassy city was analyzed. The recommendations for improvement of sales activity this enterprise are developed. An own event has been introduced, which will affect the improvement of sales promotion of the company. Key words: sales activity, sales systems, marketing, sales promotion, distribution channels. Анотація. Стаття присвячена дослідженню наукових підходів до визначення ефективності збутової діяльності виробничого підприємства, що дозволяє отримувати прибуток та займати лідируючі позиції на ринку. Досліджено збутову діяльність фірми. Узагальнено теоретико-методичні положення. Проведено аналіз збутової діяльності ТОВ «ГРУПА ВЕНЕТО» м. Черкаси. Розроблено рекомендації щодо удосконалення збутової діяльності даного підприємства. Запроваджено власний захід, що вплине на покращення стимулювання збуту товариства. Ключові слова: збутова діяльність, системи збуту, маркетинг, стимулювання збуту, канали розподілу. Аннотация. Статья посвящена исследованию научных подходов к определению эффективности сбытовой деятельности производственного предприятия, что позволит получить прибыль и занимать лидирующие позиции на рынке. Исследована сбытовая деятельность фирмы. Обобщено теоретико-методические положения, проведения анализа сбытовой деятельности ООО «ГРУППА ВЕНЕТО» г. Черкасcы. Разработаны рекомендации по совершенствованию сбытовой деятельности данного предприятия. Введено собственную разработку по улучшению стимулирования сбыта компании. Ключевые слова: сбытовая деятельность, системы сбыта, маркетинг, стимулирование сбыта, каналы распределения. Problem. Integration of Ukraine requires an introduction into the practice of a marketing concept into the world market space. It changes approaches for understanding purpose of the activity, tasks and methods of the realization and means of achievement of an aim. It changes the management philosophy of marketing activities of an enterprise. In a market economy, the analysis of sales activity is a final stage of all economic activity. It consists form learning the market situation and ability of factory produces the production, which it is in demand; ensuring effective sales production of the factory and obtaining a maximum possible profit, preparation of sales plans competently and correctly, on the basis of which plans for supply and production should be formed. For today a great attention is given to the consumers. To keep consumers the enterprises need to improve own product constantly, promote the development of own brand and form a positive image for people. To carry out effective management of promotion policy and sales products, this will provide increased demand for goods. The Growth of effective activity of the enterprise is impossible without developing and analyzing the sales activity of firm in modern conditions. It can help the company to focus on market needs and to do compete in the future. That is why, this topic is very actually for today. Analysis of recent researches and publications. 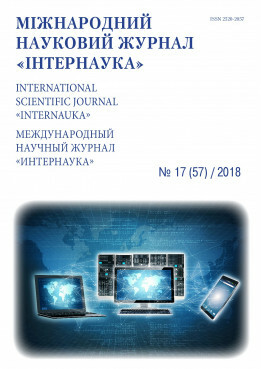 Such domestic and foreign scholars as Balabanova L., Bolt G., Bandura Z. L., Weikrut L. S., Johabber D., Lancaster J., Kotler F., Gudzenko N. M. considered issues concerning formation and ensuring efficiency functioning of sales policy of company. The problem of sales activity of enterprises was covered in the works of Ansoff I., Ogerchuk Y.V., Shpilyk S., Krupovich S.G. and others [1-5]. Actuality. After analyzing the sales volumes of "Group Veneto" Ltd, it is advisably to show the main problem of the company. The group products “textiles” have very low sales volumes in comparison with other commodity groups of the enterprise (Fig. 1). Consequently, this graph shows that the mattresses were sold most in 2017 year, it accounts for 63.3% of total sales and metal structures - 29,3%. The textiles are realized least, it is 7% of the total volume only. Therefore, it is important developing recommendations and proposals for improving sales activities of "Group Veneto" Ltd. Cherkassy city. It allows improving and increasing sales volume of the enterprise. Setting objectives. The aim of researching is developing recommendations concerning improving the management of sales activities on the firm by capturing a new segment. Research. It is proposed to cover segments of hotel chains in Ukraine to increase the sales groups "textiles" of "Group Veneto" Ltd. The next step in solving the marketing problem - is active promotion of the sale product among famous Ukraine hotel chains. The experts expect this year the hotel industry will grow appreciably. Growth will trigger several factors at once. First, according Research Company BMI Research more foreigners will come to Ukraine: they are near 2.2 million people in 2018 year, in the absence of serious problems in the east; 2.8 million persons from abroad will arrive to Ukraine in the end of 2019 year. The most numerous categories of visitors will be Poles. Western neighbors of Ukrainians will increase the demand for modern and inexpensive hotels. To grow up the domestic tourist flow in 2019 year. This process will be felt in Western and in South Ukraine especially. So, according to Hotels24.ua, the demand for recreation in Odessa and Kherson regions has increased by 2.5-3 times in the past year, in general it grows on four times in the Carpathians in vacation time. That why the experts predict the massive appearance of new hotels. Therefore, it would be advisable to deliver the TM Veneto products in the chains inexpensive top hotels in the Western, Southern and Central Ukraine. Today, the Reikartz hotel chain operates in Ukraine - it is the brightest and most successful hotel of Ukraine, which is the leader of the market of temporary residence services (Table 1). Reikartz Hotels & Resorts is a Ukrainian 3-star and 4-star hotel chain with the participation of European fund and foreign specialists. Today there are 25 hotels in 19 cities of Ukraine . The next hotels chain is the Royal Hospitality Group, it is one of the most successful players on the modern Ukrainian hotels market (Table 2). In just for 7 years (the Royal Hospitality Group was founded in 2005 year), it achieved incredible success. Succeeding in bringing the domestic hotel business to a qualitatively new level. Today the Royal Hospitality Group chain consists of nine hotels in different regions of Ukraine . The chain of hotels "Black Sea" - one of the first Ukrainian hotels, there are eight hotels located in Kiev, Odessa and Odessa region (Table 3). On 1 January 2018 year, total number of hotels numbers is 643 units, It is calculated for 1229 seats. Consider Figure 2, It shows the rating of national Ukrainian hotel chains by market share for 2018 year . Analyzing Figure 2, we conclude that the Reikartz chains occupies the largest market share among others - 42%, Royal Hospitality Group accounts for 15% of the total market share, while the Black Sea holds 13% of the market share in Ukraine. LLC "GROUP VENETO" offers the hotel chain of Ukraine for further partnership. In the course of cooperation with hotel chains to propose to supply goods of "Group Veneto" Ltd., namely a suit set (tab.4). Table 4 it shows the TM Veneto suit standard for hotel chains. The suit includes: two decorative pillows, a Veneto Dynamic mattress, Veneto Thermo mattress, one coverlet Veneto Prestige, Veneto Fresh cover, a packet for coverlet, the package for packaging and delivery of products across Ukraine. The cost of suit standard is13043.51 UAH. To increase demand can do a discount of 20% purchasing five standard suits at once. The profitability of company will 2.5%, it is on 0.3% more than is in 2017 year - 2.2%. Conclusion. Therefore, the proposed approach will increase sales and adjust the sales activities of the "Group Veneto" Ltd due to the expansion of the sales channels of the textiles group. Balabanova L.V. Sales Management Policy: A Textbook [Text] / L.V. Balabanova, P. Mitrokhina - K .: TSUL, 2014. – 240 p.
Burtsev V.V. Internal control of the sales activity of enterprises in modern economic conditions / V.V. Burtsev // Management in Russia and abroad. - 2015 - № 6. - p. 50-63. Krikavsky Y.V. Logistic management: a textbook [Text] / E.V. Kricavsky - Lviv: Lviv Polytechnic, 2015. – 684 p.
Balabanets AV Sales activity of trading enterprises in the conditions of marketing orientation: author's abstract. dis ... Candidate econ Sciences: 08.06.02 / AV Balabanits. - Donetsk, 2014. - 20 p.
Golubiy E.D. Distribution. Formation and optimization of sales channels / E.D. Golubin - M.: Vershina, 2015. - 136 p.
Royal Hospitality Group official website [Electronic resource]. - Access mode:http://rhg.com.ua/about.html. Turnover and saldovoy report for 2016 – 2017 "Group Veneto" Ltd.
Report of the financial result "Group Veneto" Ltd. Calculation of finished goods production. Marketing sale policy of the enterprise / V.V. Tkachenko - 2016. pp. 246-252.